Clemson won college football’s FBS national championship for the third time, unofficially (depending on who you ask) unseating Alabama as the amateur level’s elite program. North Dakota State won the FCS national title, Valdosta State earned the Division-II national crown, and Mary Hardin-Baylor earned the Division-III national title. Mater Dei (Santa Ana, Calif.) can lay claim to high school football’s mythical national title, going 13-2 and finishing the season ranked No. 1 in the land by MaxPreps and USA Today. Gilmore’s regular-season resume made him a leading candidate for this award, but he really clinched it in the Super Bowl. Gilmore was voted First Team All-Pro after posting 45 tackles, two interceptions, two forced fumbles, one fumble recovery, one sack and 20 pass breakups in the regular season. He picked off another pass in the Patriots’ divisional-round playoff win over the Los Angeles Chargers. Gilmore then made the biggest defensive play of New England’s defensive masterpiece of a Super Bowl performance, picking off a pass in the red zone late in the fourth quarter to helped preserve the Pats’ 13-3 victory over the Los Angeles Rams. Pass-rushing monster Khalil Mack was the face of Chicago’s top-ranked defense in 2018, but the secondary was just as much of a problem for opposing offenses. The Bears led the league in interceptions (27), fewest points allowed (17.7 per game), lowest Passer Rating allowed (72.9), lowest yards per pass attempt allowed (6.3) and fewest rushing yards allowed (80.0 per game). 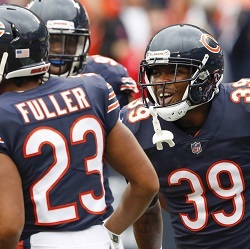 Free safety Eddie Jackson and cornerback Kyle Fuller were both First Team All-Pro picks and made the Pro Bowl. Along with fellow starters Adrian Amos at strong safety and Prince Amukamara at cornerback, plus backups Bryce Callahan and Sherrick McMannis, the Bears’ DBs helped the team go 12-4 and win the NFC North division title. The prototypical do-everything safety for this era of football, James was a First Team All-Pro and Pro Bowl selection in his first NFL season. Coming out of Florida State, the 17th overall pick of last year’s draft made 105 tackles to go with three interceptions, 3.5 sacks and 13 pass breakups. James helped the Chargers make the playoffs as a wild-card and advance to the AFC divisional round. Needing to win the AFC North division to get into the playoffs, the Ravens couldn’t afford to lose their Week 16 road game against the Chargers. Late in the fourth quarter, with the Ravens clinging to a one-score lead and the Chargers driving, Young’s fumble recovery and 62-yard return for a touchdown sealed the victory. Baltimore went on to win their regular-season finale to clinch a spot in the postseason and probably save head coach John Harbaugh’s job. Maybe it should have been a penalty. Maybe it was pass interference and helmet-to-helmet. Maybe the no-call did cost the New Orleans Saints a trip to Super Bowl LIII. Maybe Saints fans will never get over it. But how many times has a big game been greatly impacted by a weak pass-interference penalty that should not have been called? Sometimes it’s going to go the other way and the refs will miss a PI that should have been called. Since there was no flag, Robey-Coleman’s hit on Saints receiver Tommylee Lewis goes down as a pass breakup that helped set the stage for L.A.’s eventual overtime victory in the NFC Championship game. Until further notice, the centerpiece of Baker’s trophy case will be his 2018 Jim Thorpe Award recognizing him as college football’s best defensive back. The senior from Miami made just about every outlet and organization’s All-America First Team you can think of while helping the Bulldogs go 11-3 and make it to the SEC Championship game and the Sugar Bowl. Baker recorded 40 tackles, two interceptions, 10 pass breakups, a forced fumble and a fumble recovery. He arrived at Georgia as a three-star prospect ranked by some top scouting services in 40s and 50s among cornerbacks in his class, but now he leaves Georgia as a projected first-round NFL draft pick. The sophomore safety tipped a pass to himself in the end zone, then took it back 100 yards to the house, breaking a few tackles along the way. The crazy part is that Murphy’s vicious hit on Utah’s Britain Covey wasn’t even his biggest play against the Utes this season. Murphy certainly de-cleated Covey when the Huskies and Utes met during the regular season, but it was Murphy’s 66-yard pick-six against Utah in the Pac-12 Championship game that ultimately meant more for UW. That INT and score helped them secure a spot in the Rose Bowl. Murphy, a redshirt sophomore who has entered the NFL Draft, was an All-America pick by several outlets and was voted MVP of that Pac-12 title game. Named to the Canadian Football League’s 2018 All-Star team as a defensive halfback, Lee finished the season with 83 tackles (11th in the league), three interceptions (one pick-six) and two forced fumbles. 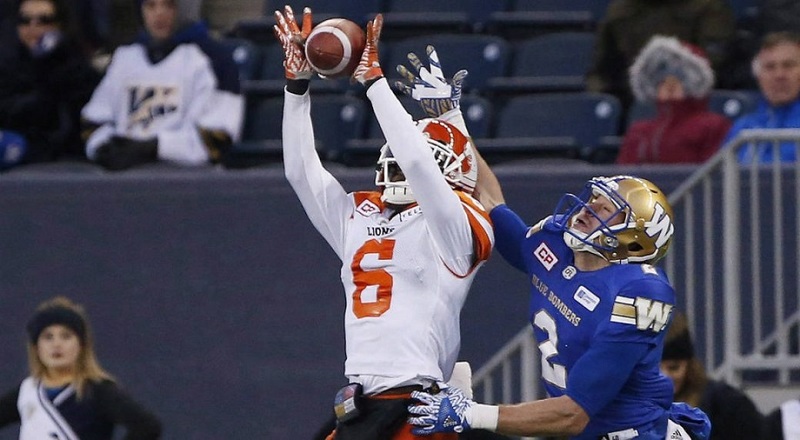 The five-year CFL vet who played college ball at Eastern Washington helped the Lions make it to the playoffs. A finalist for the Gatorade National Player of the Year, was a two-way player at Dunham who will play corner in college. Like most top-flight defensive backs on the high school level, he didn’t face many quarterbacks willing to test him, so Stingley “only” snagged a modest two interceptions this season to bring his career total to 27. He did take one of those picks back for a touchdown. Stingley scored 15 other touchdowns: eight on offense as a receiver, four kickoff returns and three punt returns. He reportedly never allowed a touchdown in high school. Stingley is headed to LSU after choosing the Tigers over the likes of Florida, Alabama and Texas.